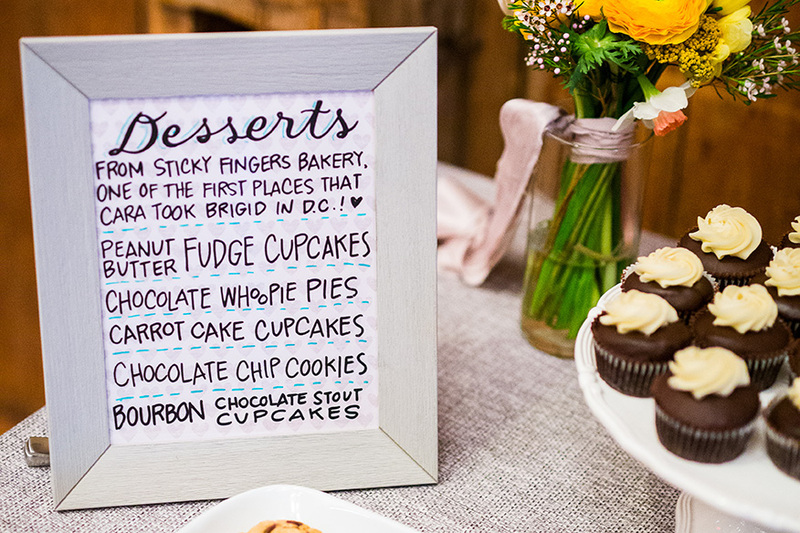 This spring wedding in Northern Virginia used the travels that the couple had taken together as the theme for the reception. 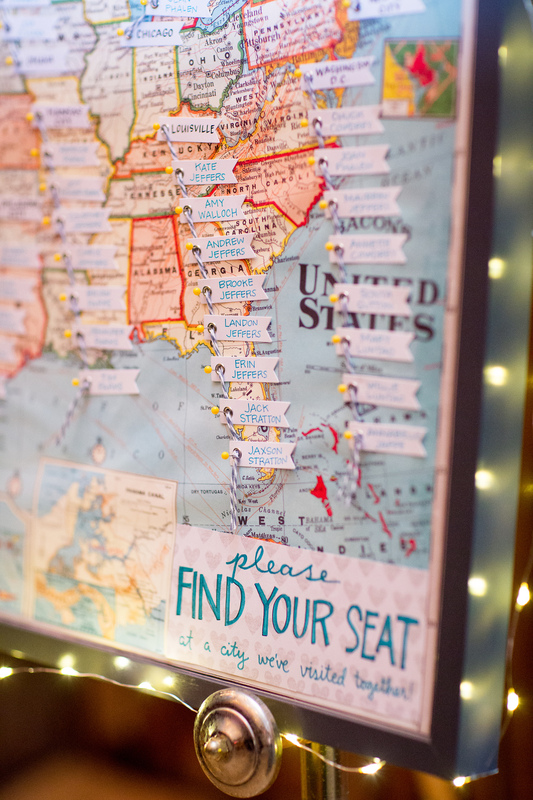 A seating chart was made out of a map, tables were marked with frames with hand lettered cities, and various other signs were created to lend a little whimsical personality to the event. 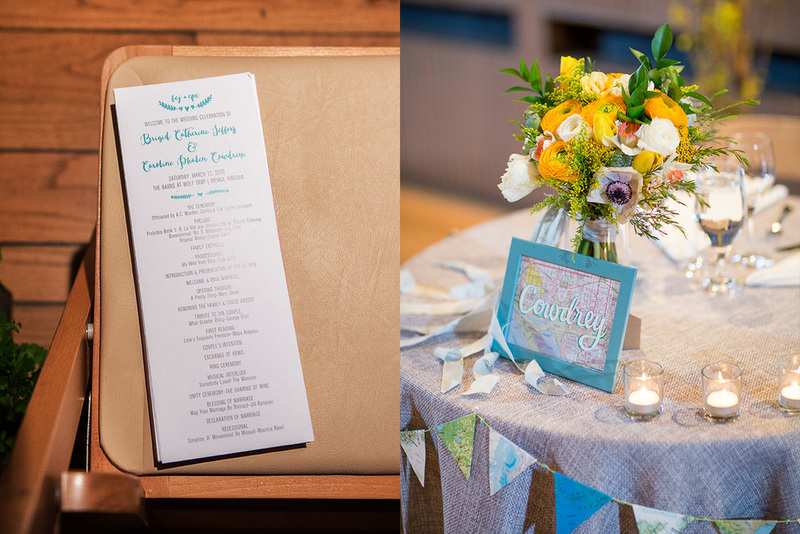 The wedding invitation had a botanical theme throughout, and featured grey, teal, white and highlights of yellow. Flat cards were letterpressed in two color, and tucked inside a grey envelope with a lemon yellow liner. Yellow baker's twine was added for a little more interactive effect for the recipient. Vintage stamps were chosen to reflect the interests of the couple, including one featuring their venue. Materials used: Foam Core, Ikea Frames, Vintage Maps, Paint Pens, Sharpie, Prismacolor marker, felt tip pens. 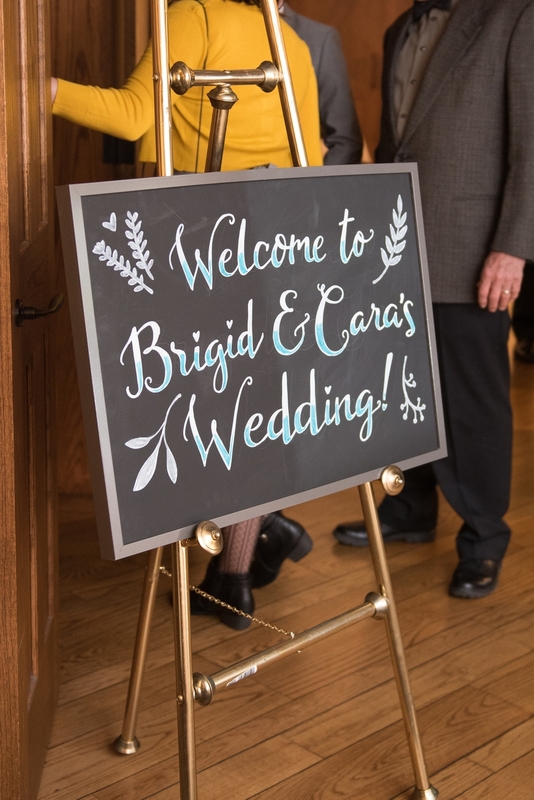 If you hadn't noticed–this is my wedding!